Affogato is an expressive typeface with an especially high x-height and long descender. 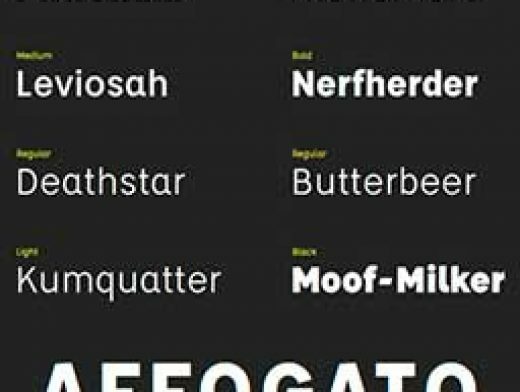 Inspired by geometric humanist typefaces, Affogato was originally intended to be a Gotham-Neutraface hybrid. The most characteristic glyphs: ‘Q’ and ‘g’ are the easiest to identify, but P, R, B, D and A are also unique to the Affogato family with their slanted apex. Affogato works well for logos, display types, and not-so-serious body copy.